Established in 1987 when community leaders became concerned about a man with Alzheimer's disease and his wife who was struggling to care for him. It was realized that Ada didn't have many services for families who cared for loved ones at home which prompted the start up of an adult day care. 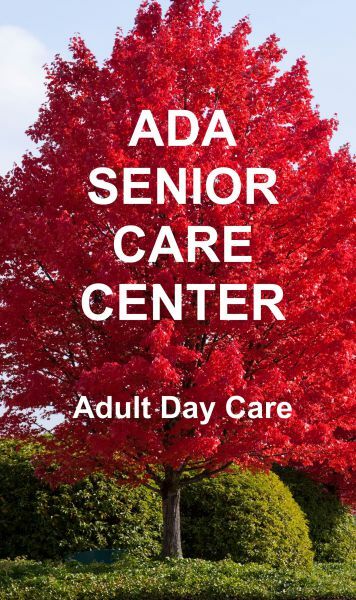 Ada Senior Care Center is a not for profit service agency for adults who have functional limitations or disabilities but who are not ready for full time nursing care. We provide participants a structured, safe and caring daytime environment to maintain and maximize independence and to prevent premature institutionalization. Although not affiliated, the Ada Senior Care Center is located inside the First Presbyterian Church on Kings Road. We are licensed by the Oklahoma Department of Health. 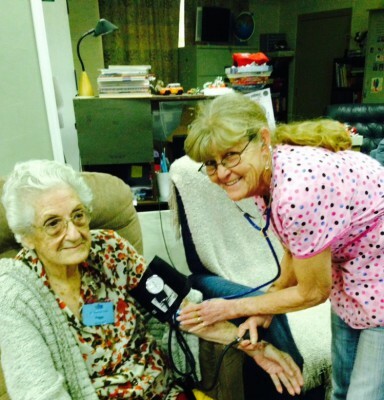 Ada Senior Care Center provides social and recreational programs as well as ongoing health and nutritional monitoring to ensure a balance of service which is individualized to benefit each participant. We communicate with families, caregivers and other professionals as needed to promote optimal health and quality of life for each participant. ​Most importantly...they will be treated with respect, kindness and love. ​Ada Senior Care Center...where your loved one is our loved one. The best medicine for humans is love.